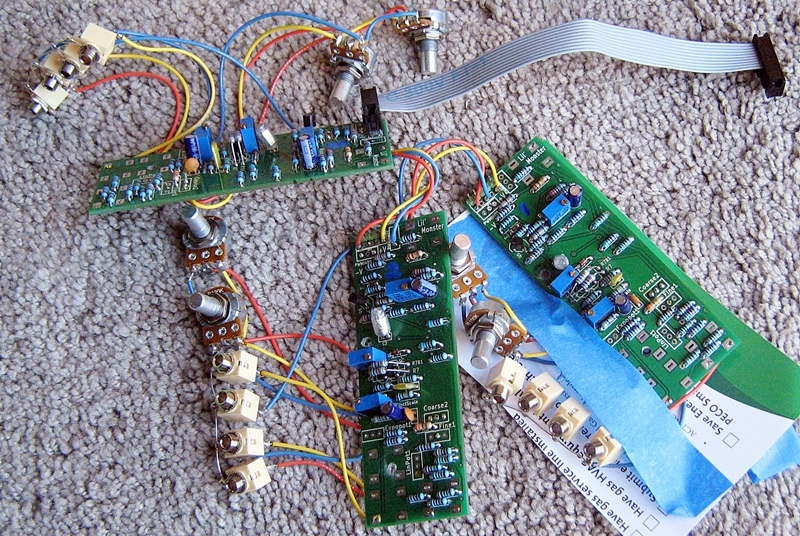 MUFF WIGGLER :: View topic - Custom Triple VCO - THANX!!! Custom Triple VCO - THANX!!! My Metasonix D-1000 & R55 both need external Oscillators to play IN TUNE. Having to use 2 or 3 of my VCOs for this task was getting to be a burden. I WANT MY VCOs FOR OTHER SOUNDS IN MY PATCHES!! So the search for 3 Euro VCO modules to dedicate to this task started about 2 months ago. Most on the market are expensive & 3 will take up valued SPACE! Here we have 3 very basic AniModule VCOs at 10hp!!! Metasonix and AniModule sound like a good combo. 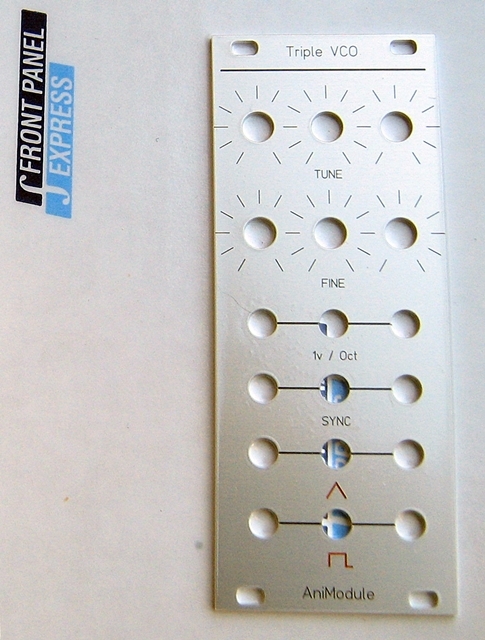 JRock, I might need to contact you about a custom one off module...PM coming soon.